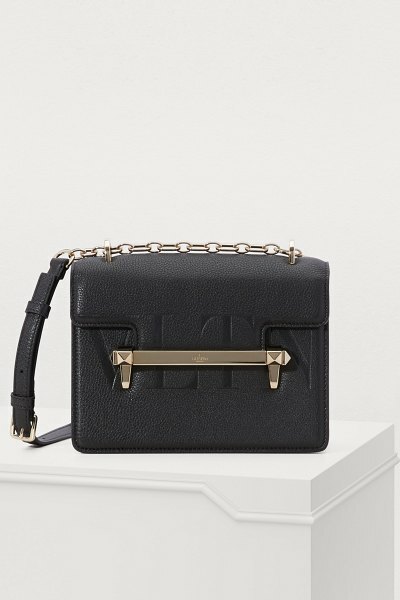 This elegant, sophisticated VLTN crossbody bag has a distinctive 50s-inspired look. 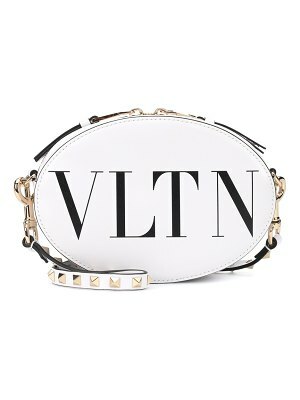 It features a decorative golden brass closure with subtle Valentino Garavani engraving and a delicate chain strap. This black leather piece is a perfectly understated accessory for a professional look or a tailored outfit.